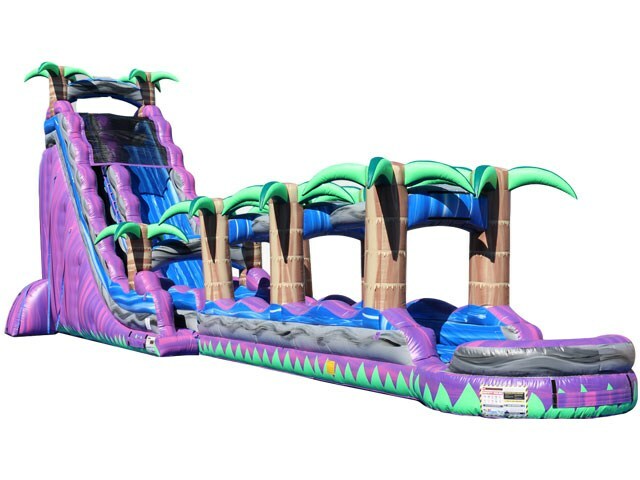 Products - Inflatable Slip and Slide - Purple Tropical Slip And Slide Water Slide Inflatable China Factory BY-SNS-005 - Guangzhou Barry Industrial Co., Ltd.
• Suitable age range - 1yrs to 99yrs. 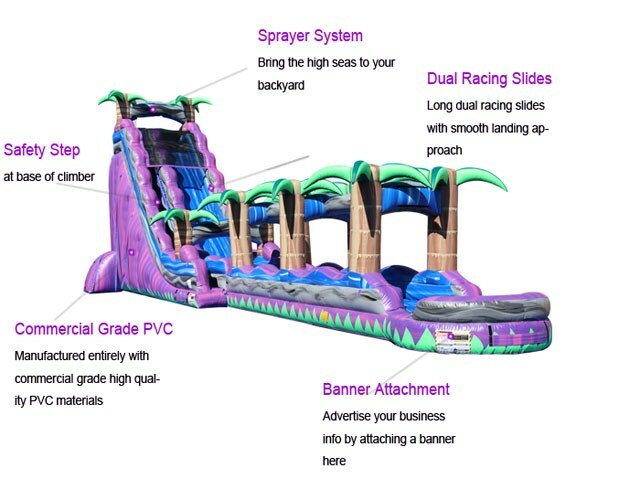 The Purple People Eater Water Slide is the most eye-catching and amazing water slide in Maine! The palm trees on top are a jaw-dropping 22 feet in the air, equivalent to a 2 story building. The purple marble colors are one of a kind. The Purple People Eater Water Slide is the newest addition to our line of incredible water slides. 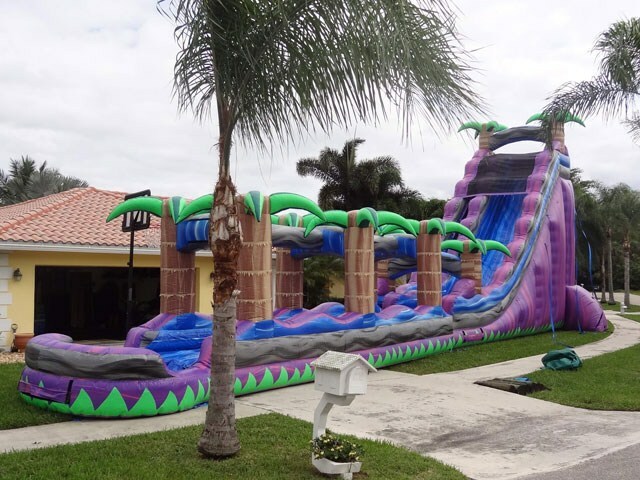 Adults, teens, and kids will definitely enjoy the speed at which this water slide catapults riders to the end, and into a big, refreshing pool of water! •Suitable age range - 1yrs to 99yrs. Q1. 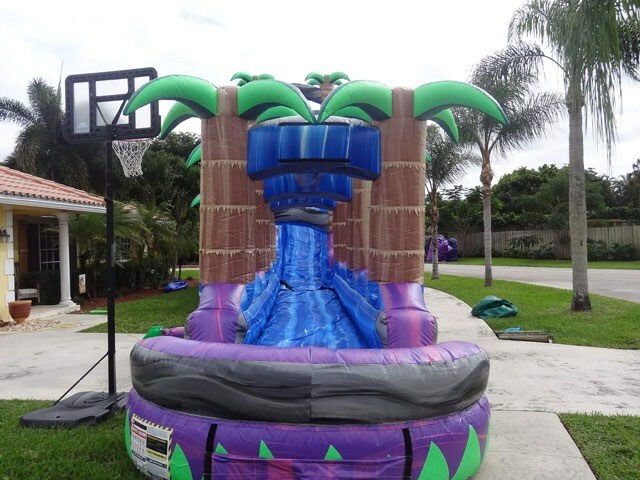 Can you brand my inflatables? 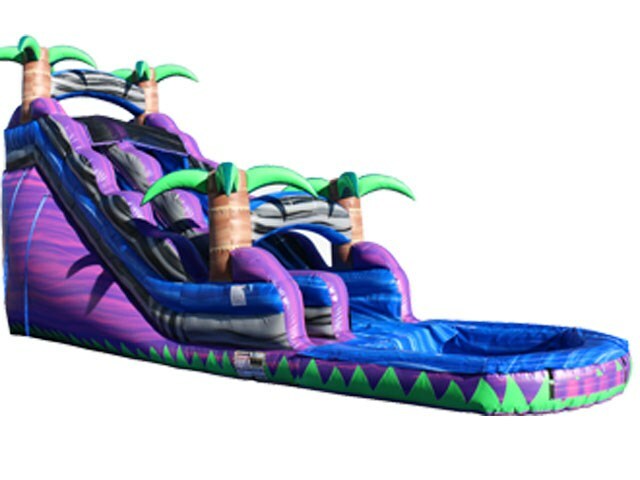 Q2:We have a unique idea for an inflatable product can you help me? Q3. What kind of payment do you accept? Why not escrow? A: We prefer T/T, West Union, Paypal and other payment terms. For order < US$5000, we prefer full payment. Most often the case, customer does not choose ESCROW because of the limited maximum payment of US$10000 and the 5% charge fee is high. Q5. Are you a manufacturer or a trading company? Does your company pass any certificates? Q 6. Do you offer accessories like blowers/pumps, repair kits? Q7. Can I check the inflatable before delivery?